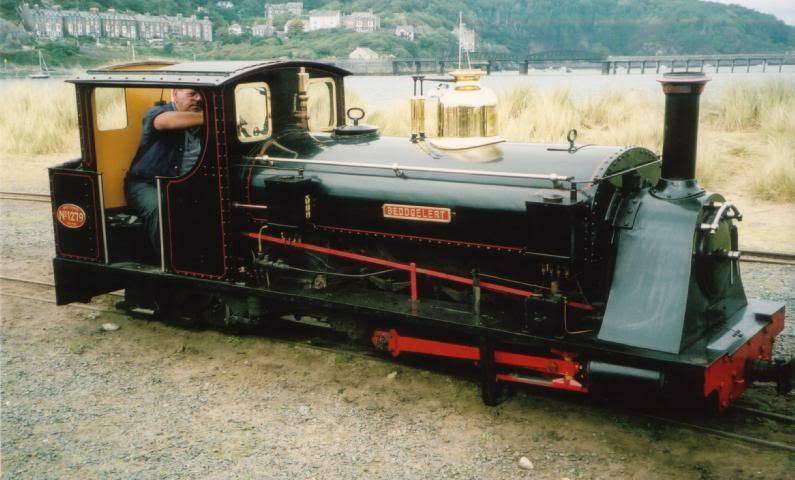 A picture of a steam locomotive on the Fairbourne Railway called 'Beddgelert'. In the background is the famous (and incredibly long) Barmouth Harbour bridge. The picture was taken in September 2005 at what has affectionately become known as 'Taffstock'.